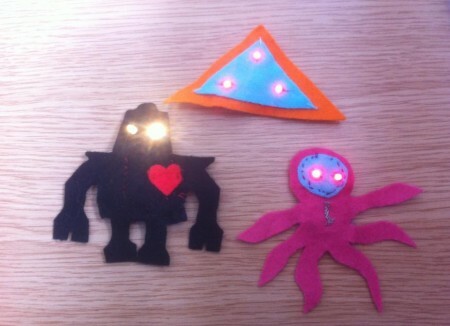 Robots, monsters and aliens – what else could you make with soft electronics? Let your imagination take over when you design your own light up badge. This is a free drop in event. Please not that this venue does not have wheelchair accessible toilets.